Paris is the city of light, the most visited capital of the world. In addition to many historical monuments, this city is also famous for the city of love. Many couples from all over the world aspire to go to Paris to have a romantic journey or honeymoon. The city is one of the most well-known destinations for tourists in the world, every year about 45 million people visit Paris. In Paris, buildings and monuments are not counted. Towers, churches, arches, bridges or fountains that represent two thousand years of history. Transportation: Moving around the city is easy, whether with taxi, by bus, subway or bicycle, the public transport network has made it easy to move. Eiffel Tower, a symbol of France, was created in 1887 at the on the Champ de Mars Square on the occasion of the centenary of the French Revolution. 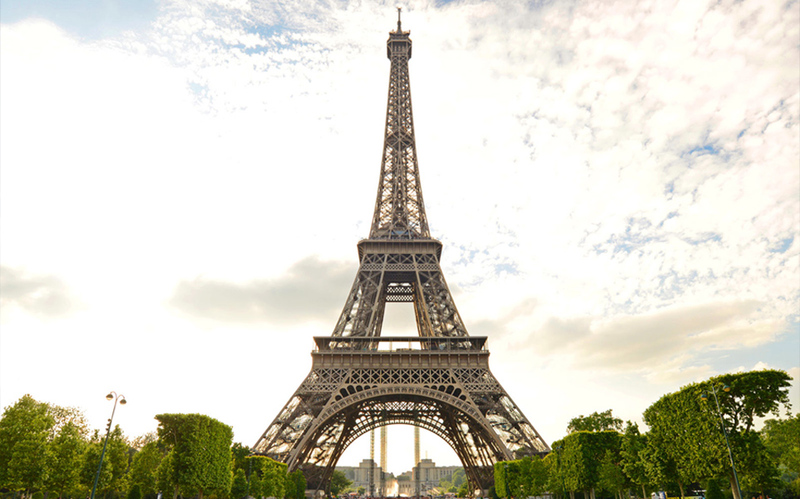 The height of the Eiffel Tower is 324 meters and weighs more than 10 thousand tons. Louvew Museum is the world’s largest art museum and a historic monument which approximately 38,000 objects from prehistory to the 21st century are exhibited over an area of 72,735 square metres. 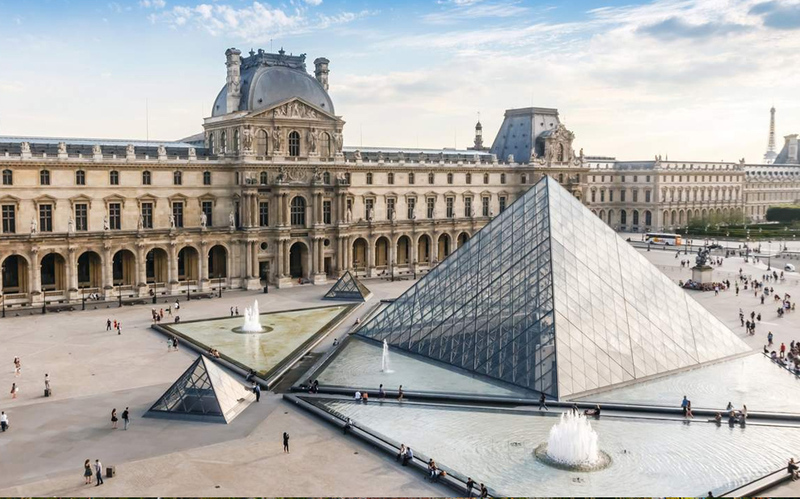 Working Hours: The Louvre is open every day (except Tuesday) from 9 a.m. to 6 p.m.
Notre Dame Church was built in the center of Paris, along the Seine River between 1163 and 1345. 1160: Maurice de Sully (named Bishop of Paris) orders the original cathedral demolished. 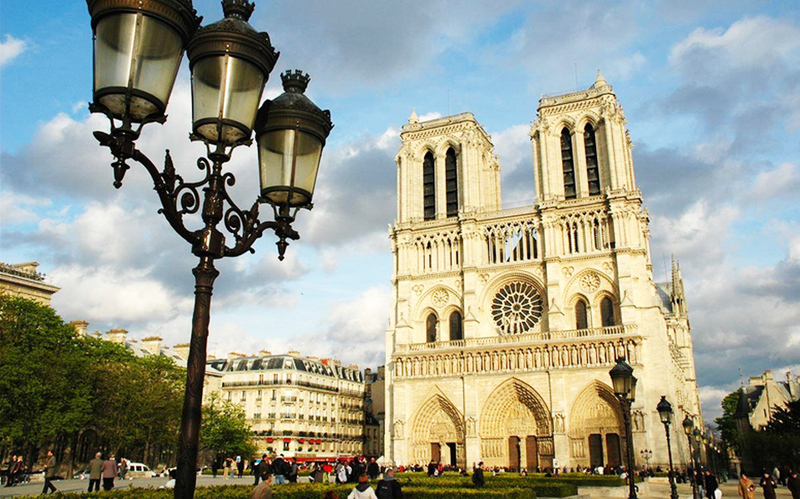 1163: Cornerstone laid for Notre-Dame de Paris; construction begins. 1182: Apse and choir completed. 1196: Bishop Maurice de Sully dies. c.1200: Work begins on western facade. 1208: Bishop Eudes de Sully dies. Nave vaults nearing completion. 1250: Western towers and north rose window completed. c.1245–1260s: Transepts remodelled in the rayonnant style by Jean de Chelles then Pierre de Montreuil. 14th century: New flying buttresses added to apse and choir. 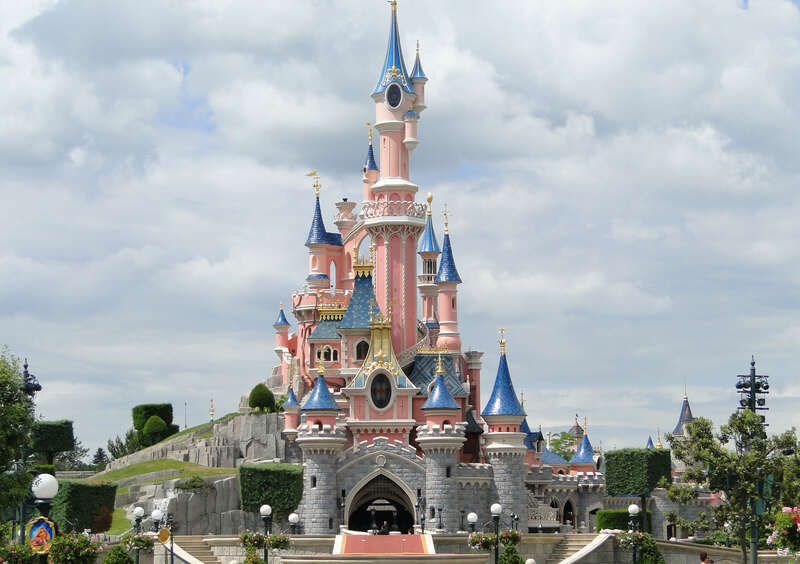 Disneyland Paris began in 1992, and after Tokyo, the second largest Disneyland outside the United States, with more than 15.5 million visitors per year, is also more popular than the Louvre Museum and the Eiffel Tower. Disneyland encompasses two theme parks, a shopping, many resort hotels, dining, and entertainment complex, and a golf course, in addition to several additional recreational and entertainment venues.